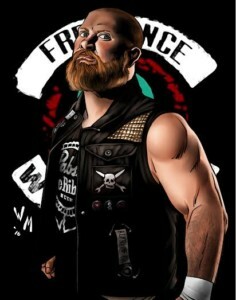 Arik Cannon to Bring Anarchy to Freelance Wrestling Game Pack! love, its a great party! Get ready to use Arik Cannon and the entire Freelance Wrestling roster when this 12-card game edition is released! The official debut will be at a Freelance Wrestling event on March 11. The game pack begins mailing on March 14. You can preorder now by going here!